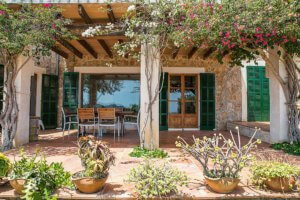 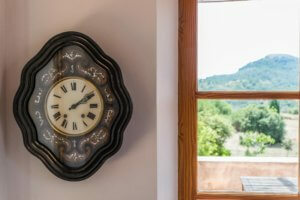 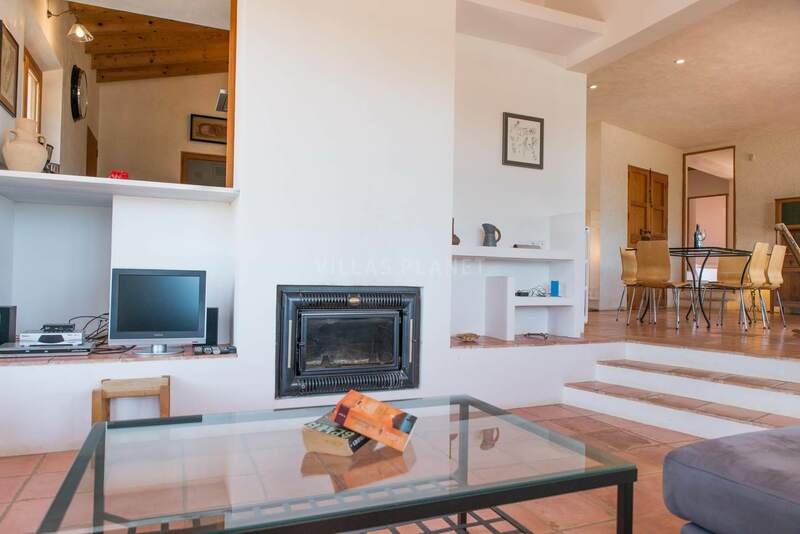 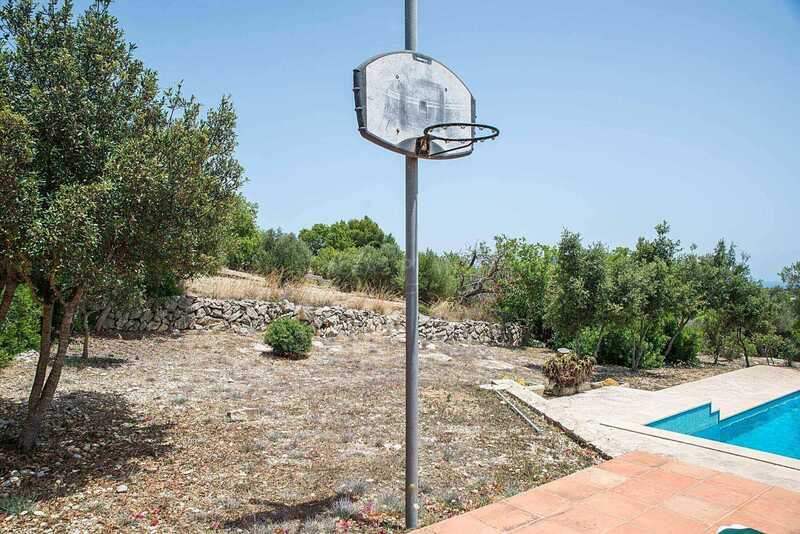 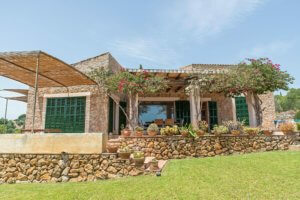 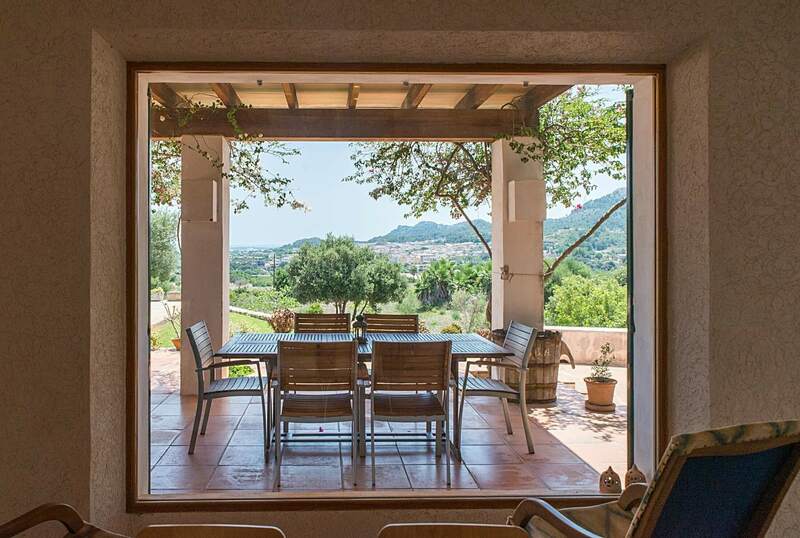 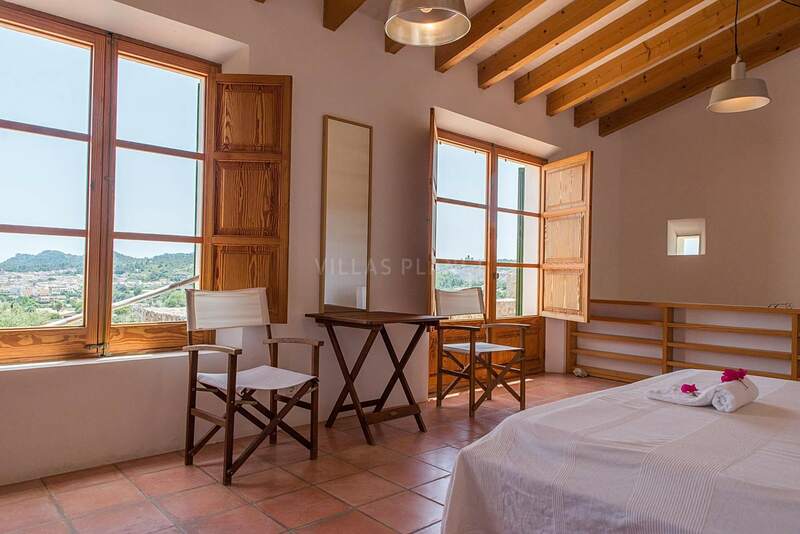 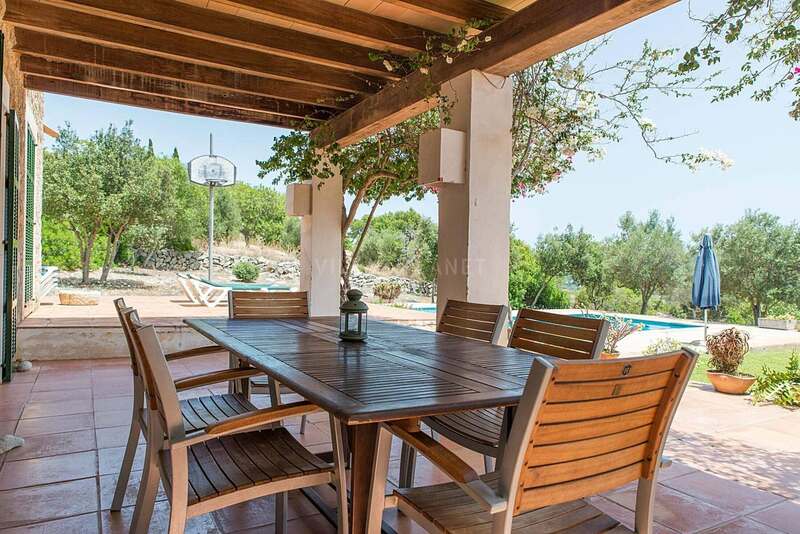 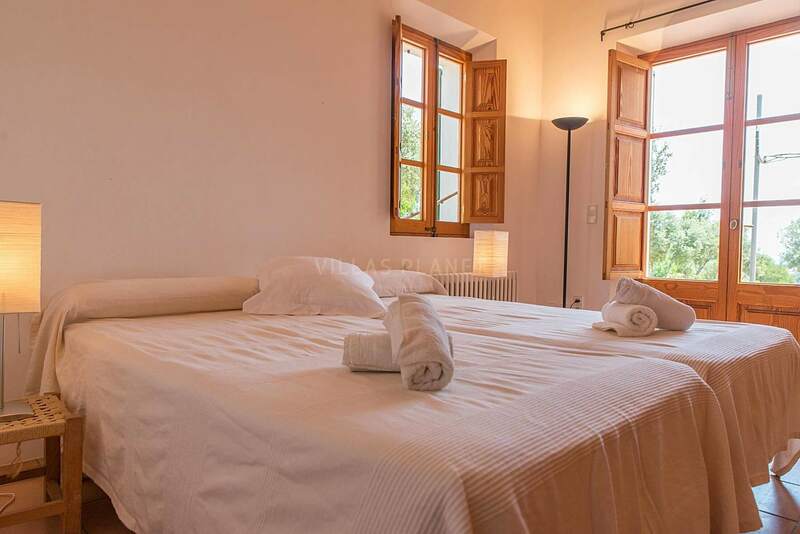 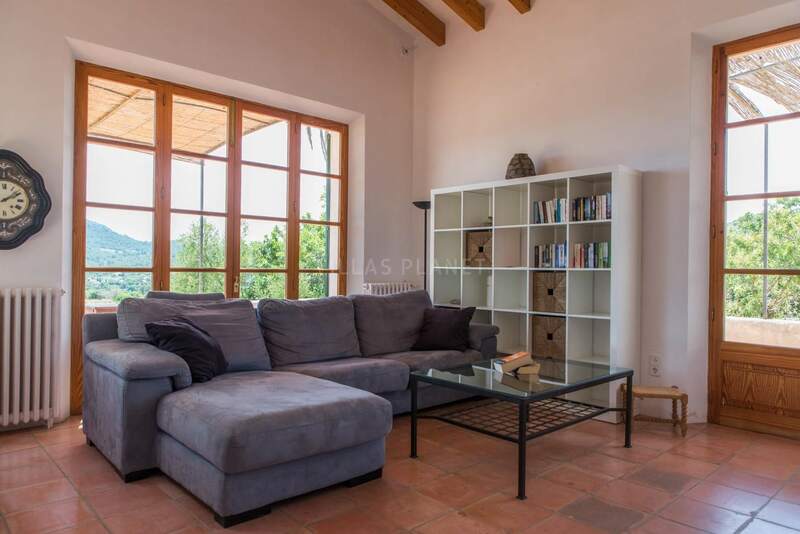 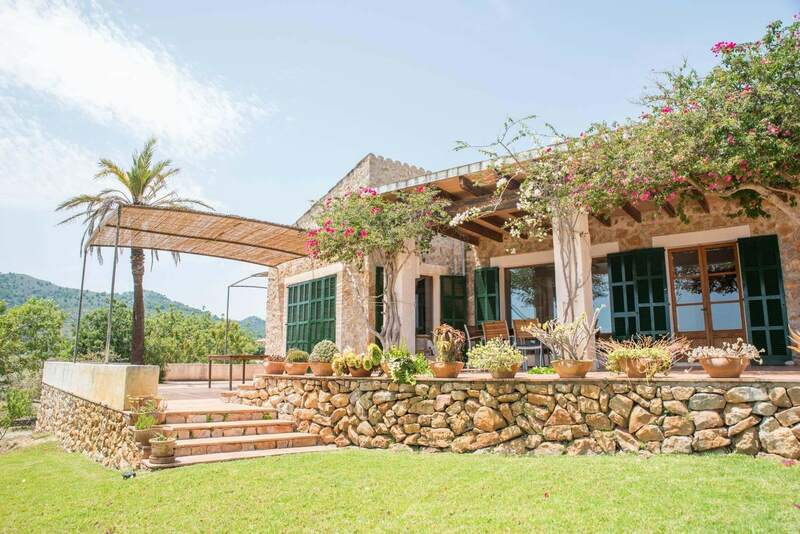 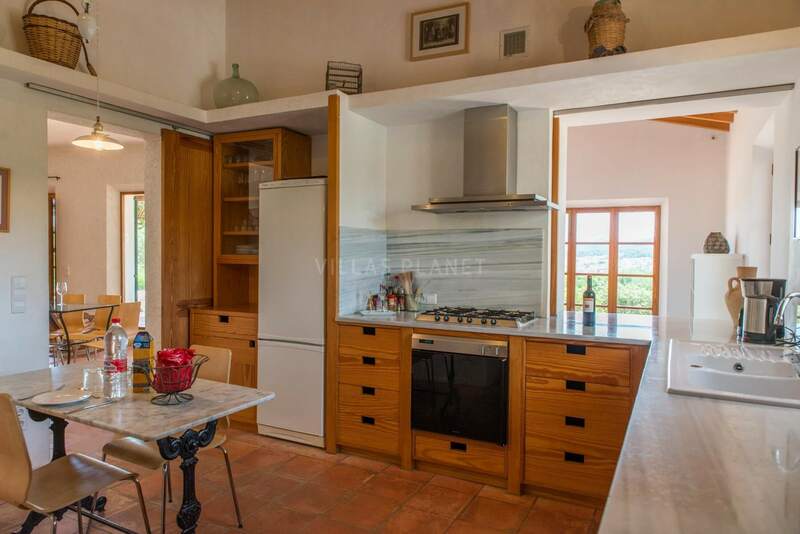 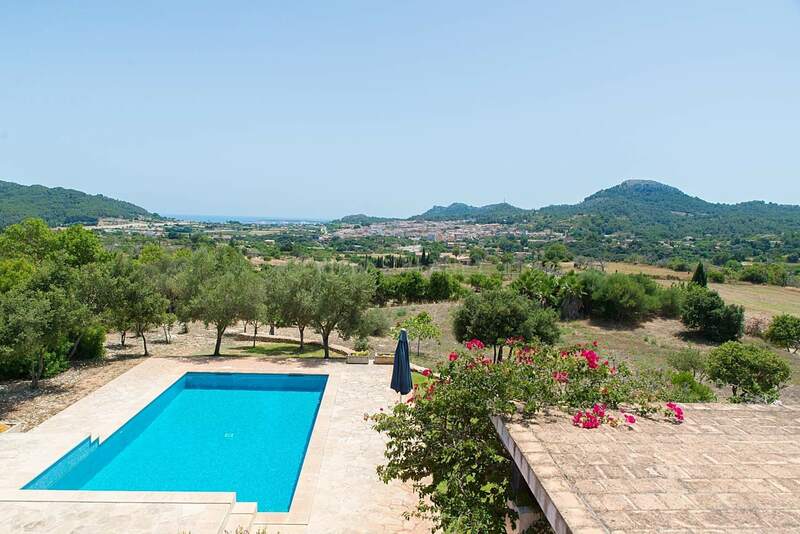 The property "Fetget" in Northwest Mallorca is a rustic farmhouse with all the charm of the Majorcan Mediterranean style but living with modern and functional construction, distribution, amenities as well the swimming pool surrounded by lawn. The house comprises into two levels: Accessing in is distributed throughout a big spread in different environments, lobby, lounge / living room with fireplace, dining room and open kitchen to it. All with direct acces to the cozy porch, where feels nice stays, you may enjoy your morning tea or coffe, or even meals al fresco. 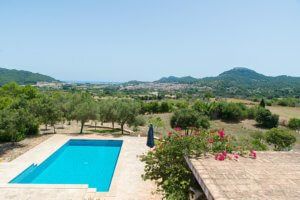 Front to the porch is the large swimming pool surrounded by lawn and overlooking the Sea and mountains. 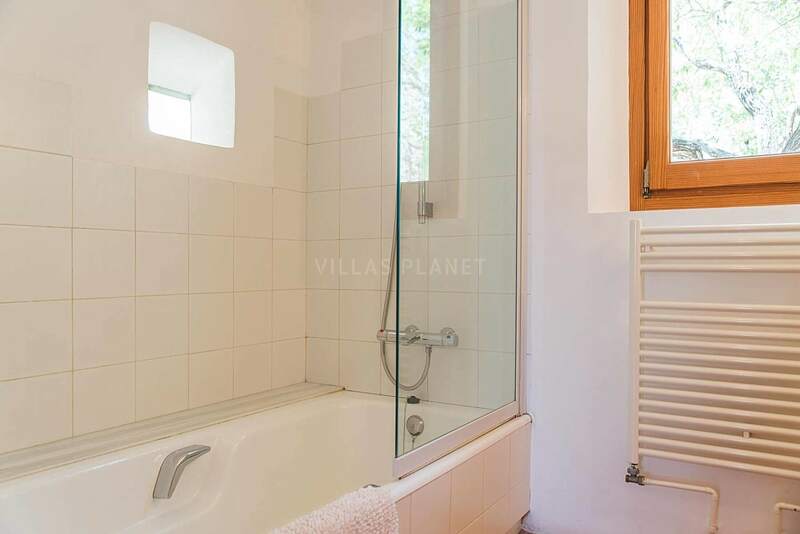 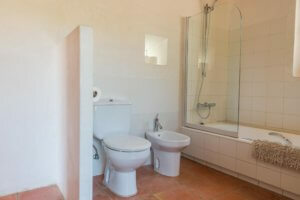 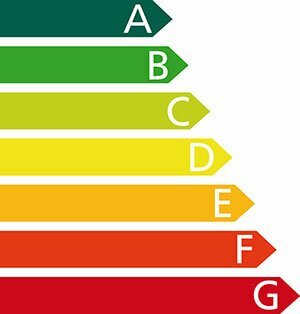 Two double rooms and two bathrooms one en suite. 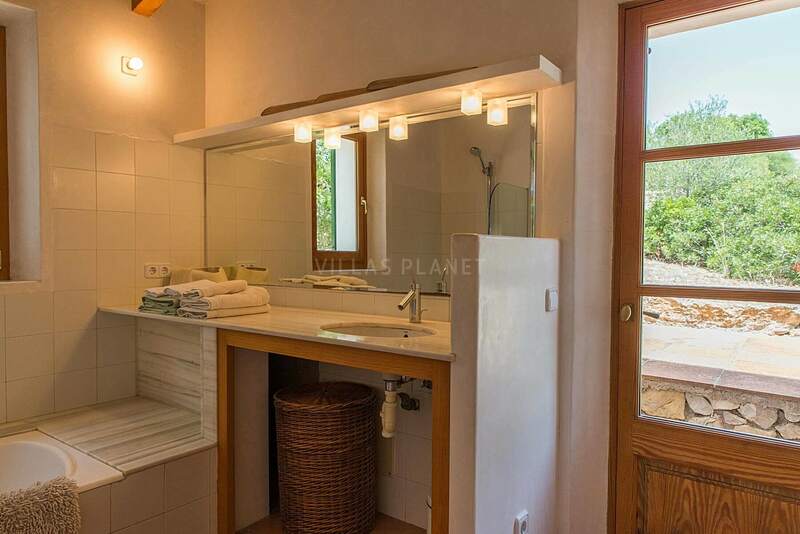 It also has a guest toilet. 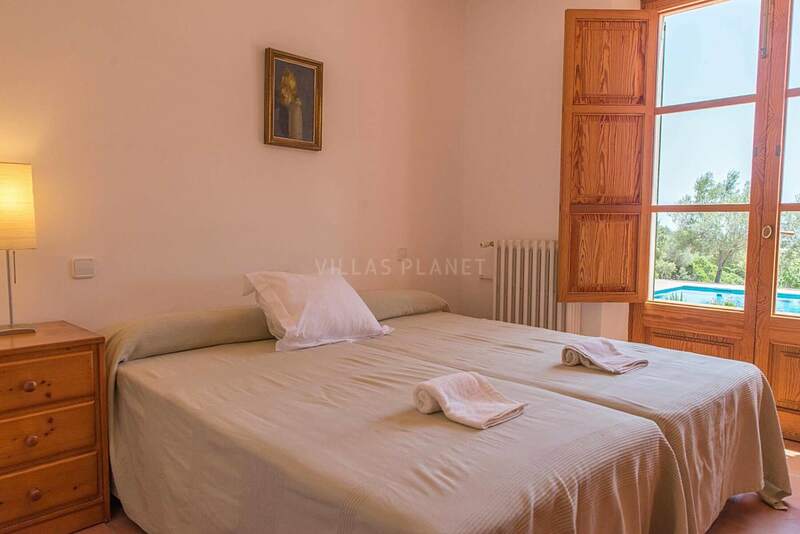 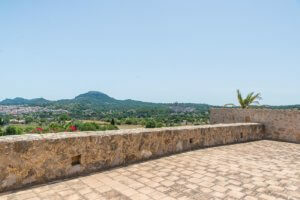 The entire top floor is for the master bedroom with its outdoor terrace where you enjoy a splendid views to the Sea and the surroundings also the mountains. 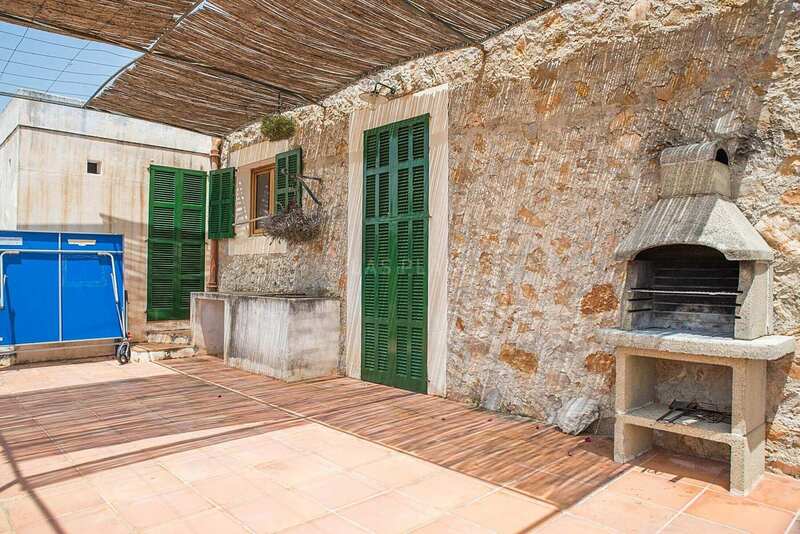 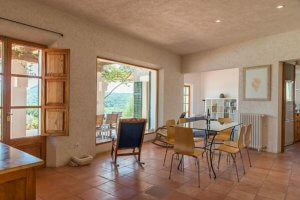 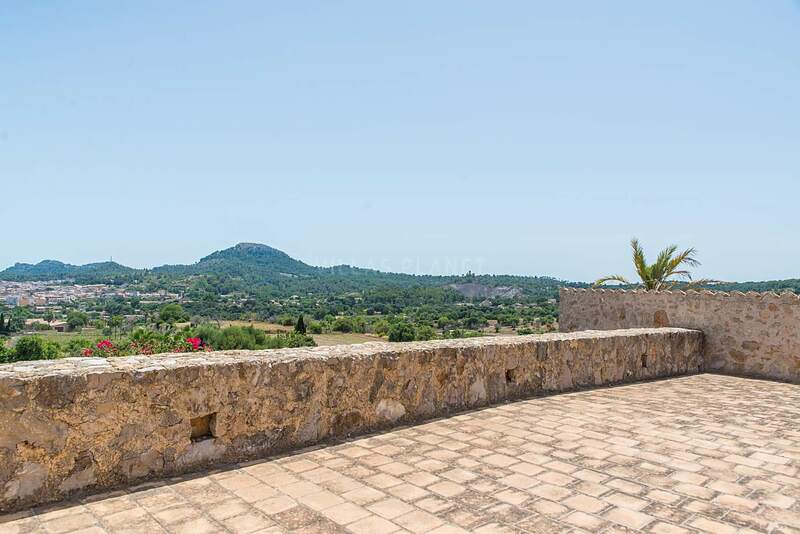 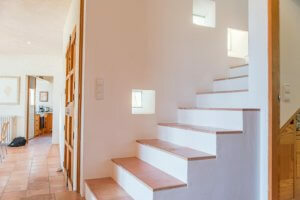 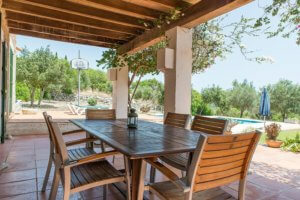 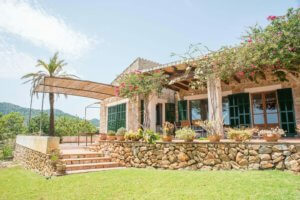 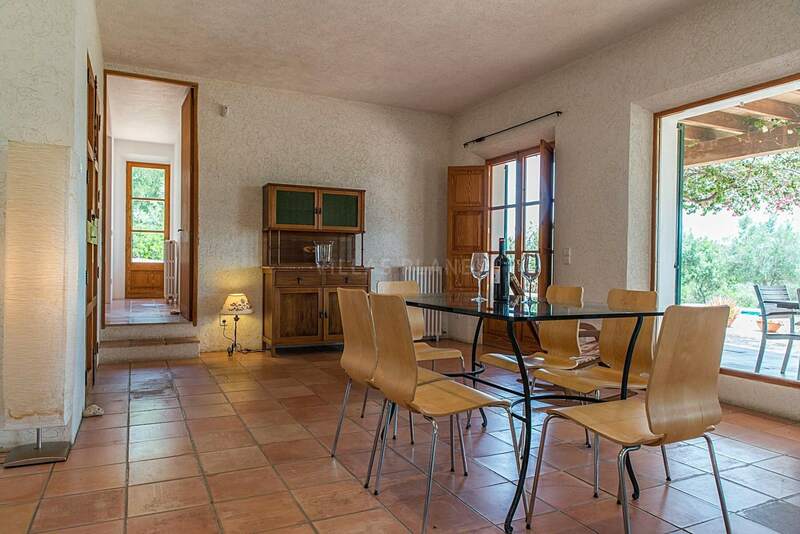 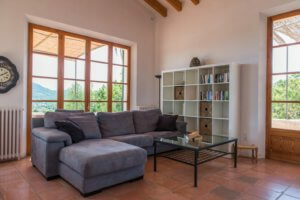 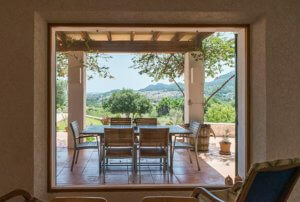 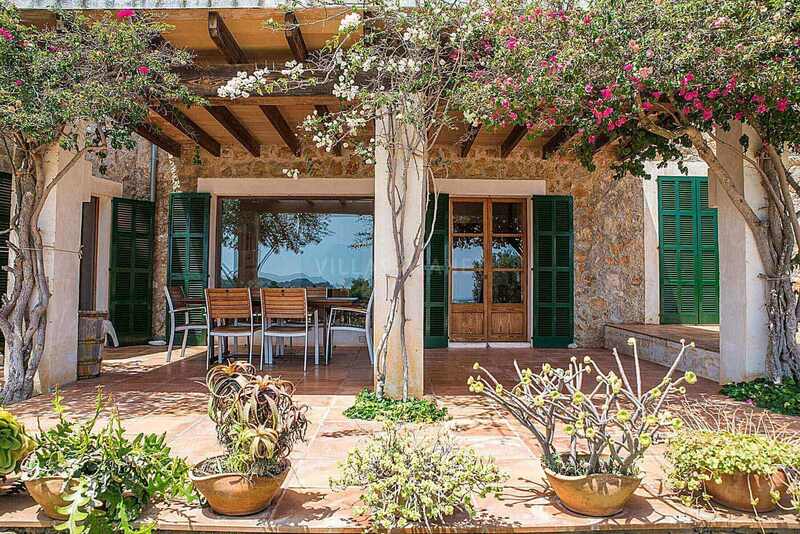 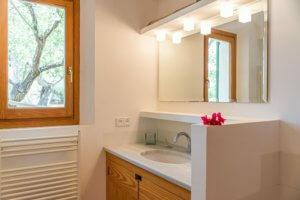 The house is located on a plot of about 7.000.Sqm and around the typical Majorcan field. 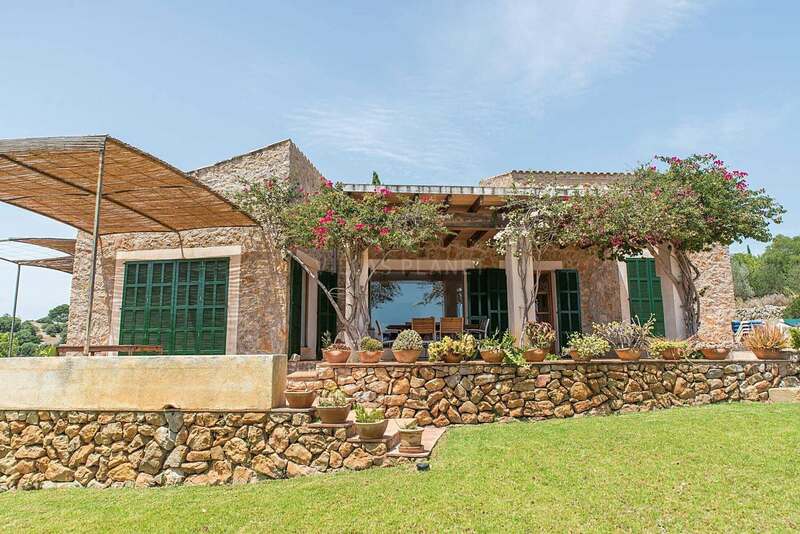 Can also be combined (depending on availability) with those other two houses, about 400 meters away "S'Estepar" and "Son Gener" just in front. 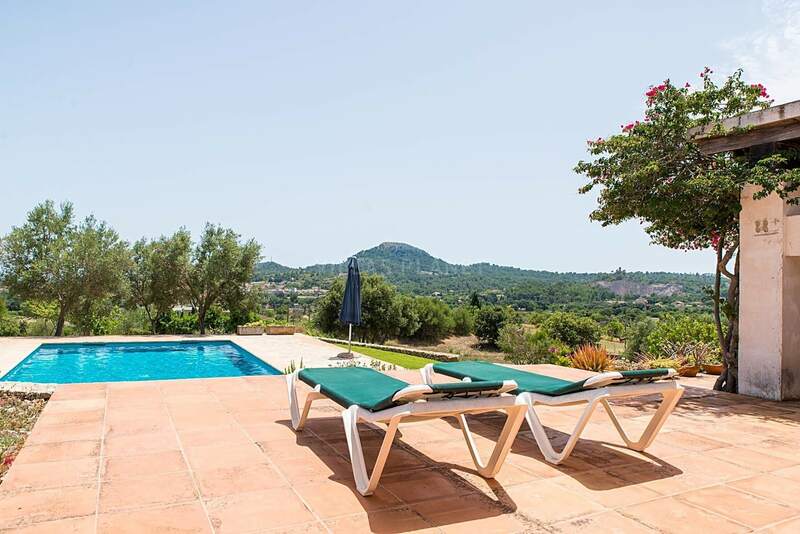 For golf lovers is the ideal place because on the surroundings have four different golf courses all 18 holes where there organize each one assiduously tournaments... Pula Golf, Golf Son servera and 10-15 minutes of each other Golf Canyamel and Capdepera Golf. 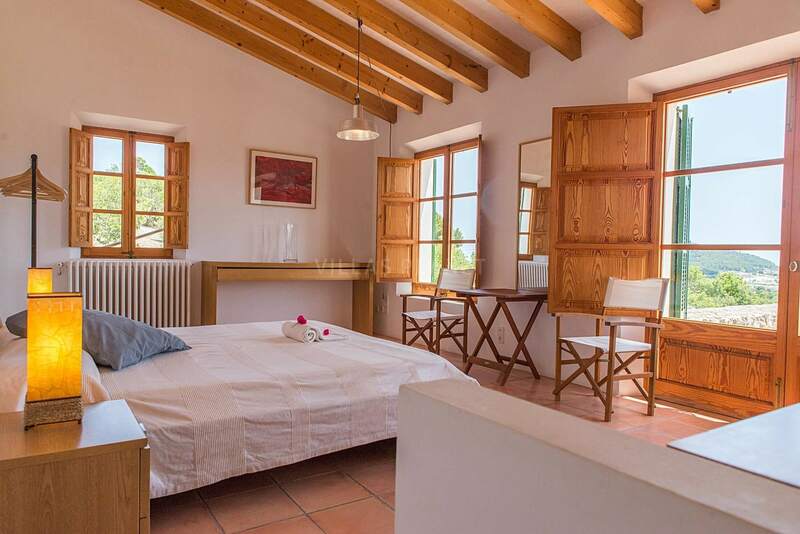 Only 10-15 minutes by car can enjoy the northwest "Costa de los Pinos" through Cala Bona and its Port also Cala Millor, Sa Coma... well-known tourist resorts in Mallorca, where there are all kinds of activities.